First Prize at the Village Fete! 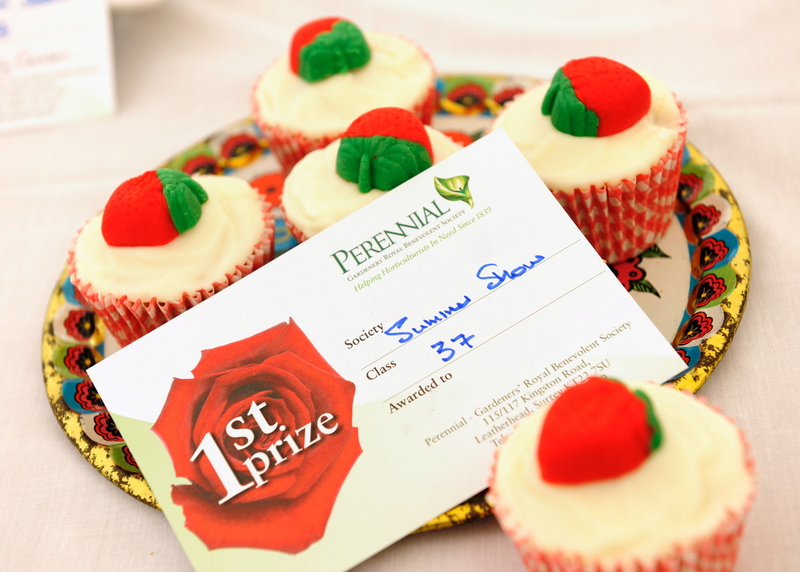 I do love to prepare for an occasion and in this instance baking something worthy of a place in the exhibition marquee at our local village summer fete was top on my list of to dos…how thrilled was I to receive 1st prize! It just happened to be my birthday too, and I could never have imagined a birthday present like this would have such a tremendous feel good factor. At risk of over-analysing the confidence boost is terrific and the many smiles my prize has brought is a joy. Gosh, lucky me! But the cakes were not so lucky…darling HM was ever so helpful packing the car after a long and hot day at the fete and dropped the tray of cakes in the process! Oh well, there was still the banana bread to enjoy (2nd prize if you are interested and only a little bit squashed in the back of the car) and of course I had some extra cakes in the fridge at the house waiting to be eaten. Ummm, these look almost too good to eat and I love that plate ! !